Home » Our Conversation » Christmas Lunch feeds the 5000… well quite a few! 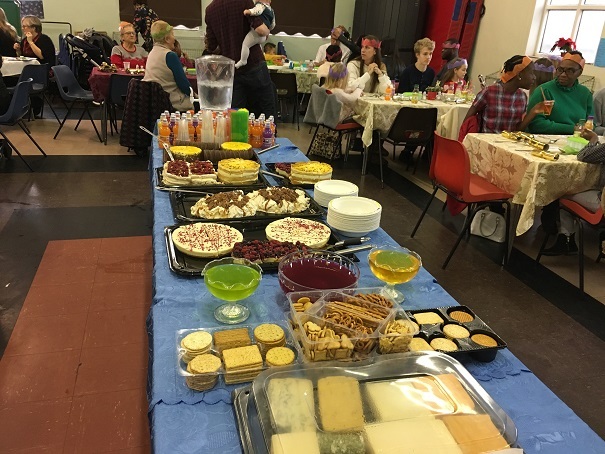 Christmas Lunch feeds the 5000… well quite a few! 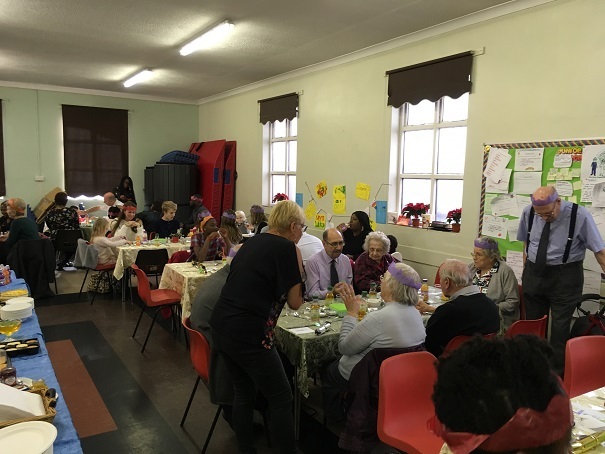 Christmas came early on Sunday (2nd December) when many of the church family, and a few guests, enjoyed a specially prepared Christmas dinner. 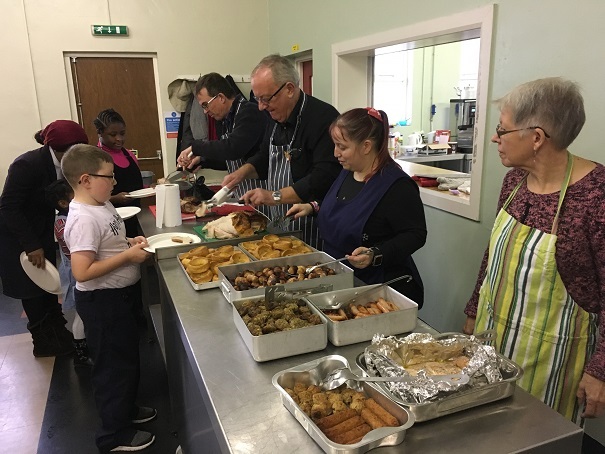 Almost 100 people sat down to enjoy a traditional roast dinner and a variety of mouth-watering desserts. 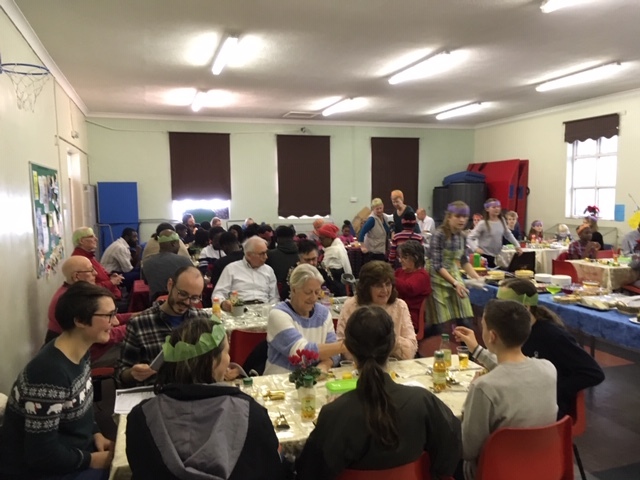 Crackers were pulled and hats worn and periods of silence ensued as people heartily tucked in. 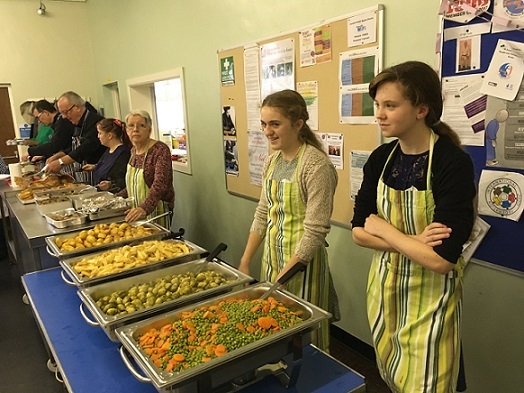 Once again we are grateful to our resident ‘Head Cook and Chief Bottle Washer’ Beryl and the wonderful team who support her, shopping, laying up, serving, and clearing away. We believe that Beryl is still recovering! Pictures give a flavour of the occasion… I think we’ve used that pun before!